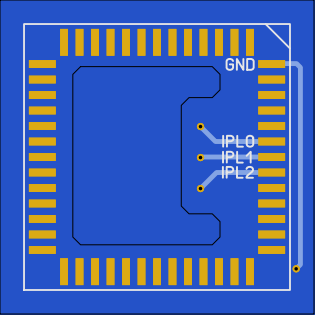 I have decided to share all my own creations for Amiga and a first step is to release the INT7 (Level 7) PLCC adapter for Amiga 600/1200/4000D(T). This is perfect when using for example a custom Amiga Kickstart ROM with HRTMon in it, or when using for example AsmOne/Pro with INT7 interrupt enabled. Personally I use Seeedstudio for the PCB manufacturing. They have provided me with good service, fast delivery and fast feedback/response. 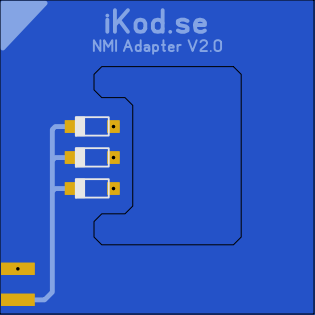 There is totally 5 components needed to assemble this board, the header is not mandatory but I lite it since it makes it easy to remove if you need to do something with your Amiga.